There's nothing like a cowboy Christmas! Is your Christmas tree up yet? You still have time for one of these great options before the season is over. 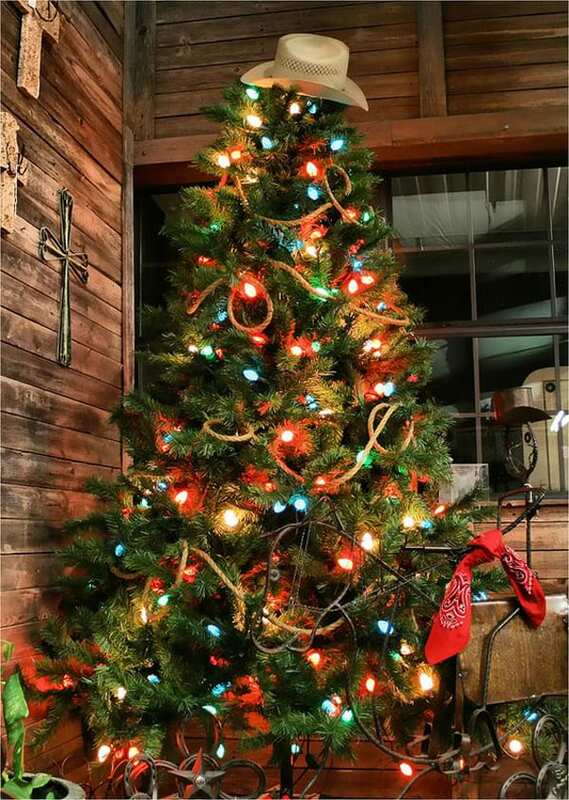 Turn your regular tree into a western Christmas tree with a cowboy hat topper and some rope. Horseshoes and red bandanas make great decor accents.